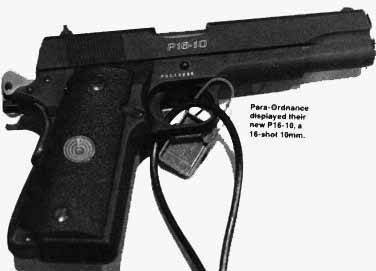 The PARA-ORDNANCE P16-10 was a 10mmAuto conversion of the "classic" 1911-style Para-Ordnance pistols. It had an high capacity (16-rounds magazine). Even though it was presented in the SHOT Show some years ago, it never entered mass production.